It’s nearly time for crucial Champions League second leg between Roma and Liverpool. The Reds will be hoping to make their first final in 11 years after another blistering performance at Anfield. 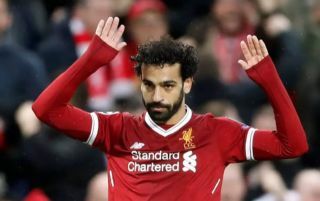 Mohamed Salah was once again the star of the show, producing two goals and two assists as the Reds took an initial five goal lead. However, Roma fought back and scored two crucial away goals in the last 10 minutes to give the Serie A side a glimmer of hope. Jurgen Klopp’s side will be wary of Roma, who defied the odds to knock out Barcelona in the last round on away goals. Eusebio di Francesco’s men produced a fantastic display to win the return game 3-0, after being 4-1 down on aggregate, and will need to do the same against the Reds. Roma currently sit third in Serie A and are 18 points adrift of Juventus. When is Roma vs Liverpool and what time is kick-off? Roma host Liverpool at Stadio Olimpico with kick-off scheduled for 7:45pm on Wednesday, May 2. The match will be televised on BT Sport 2 and BT Sport 4K UHD from 7pm. Liverpool will be without Joel Matip and Emre Can who are long-term absentees. Right-back Nathaniel Clyne featured against Stoke City at the weekend. Alex Oxlade-Chamberlain has been ruled out for the rest of the season with a knee ligament injury. However, Sadio Mane should return to the squad after missing out against Stoke with a knock. Roma have been dealt a double injury blow with the news that Diego Perotti, who scored in the first leg, will be unavailable, and Netherlands international Kevin Strootman has also been ruled out.